The table is GORGEOUS and am very happy with the finished product. Greg was a pleasure to work with and was great with communication! Thanks so much Greg & Team! 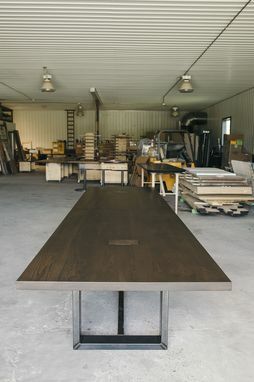 A solid wood top table will not only look stunning in your conference room but it will also make a statement. Most wood locally harvested, milled, and dried in Chester County Pennsylvania. These tables are the ultimate addition to any conference room! 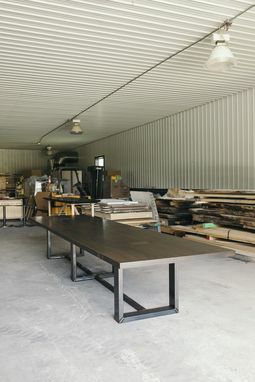 We have built tables for companies such as Chobani Yogurt, CRB Engineers, Carlton Construction, Opera Mediaworks, and La-Z-Boy. 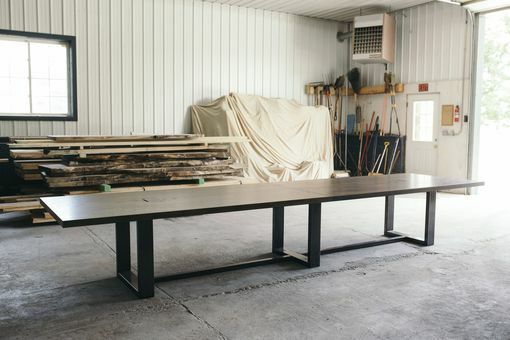 Our tables go together with ease, little to no tools will be required to set the table up. Shipping is very cost effective and easy due to the ability to flat pack the tables in a crate. We also offer matching credenzas, coffee tables, sofa tables, side tables, and more! Contact us today to order your table! Every maker has a story. 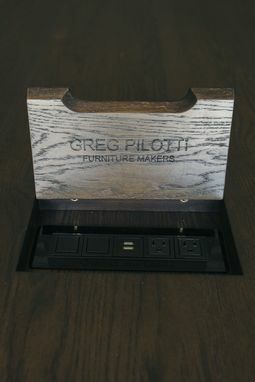 Be a part of Greg Pilotti Furniture Maker's story by placing an order, leaving a review, and seeing your review appear here.